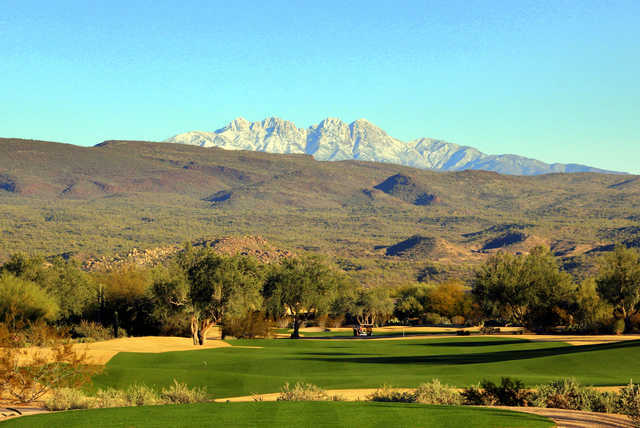 Two great courses at Tonto Verde Golf Club, the Peaks and Ranch, welcome visitors to natural splendor. Gary Panks solo-designed the Ranch and received help from David Graham on the Peaks. 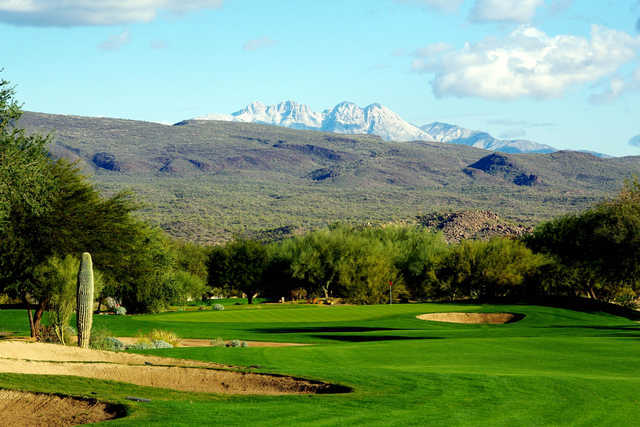 The surrounding mountain landscape and views of the Tonto Verde National Forest make the downtown Phoenix metropolis a distant memory. 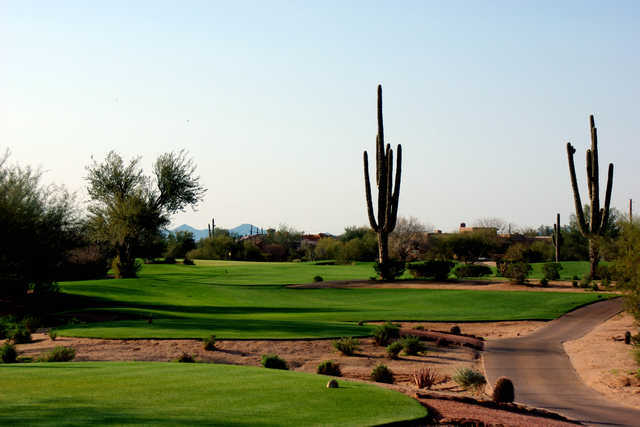 Tonto Verde is the ideal, natural Arizona atmosphere. 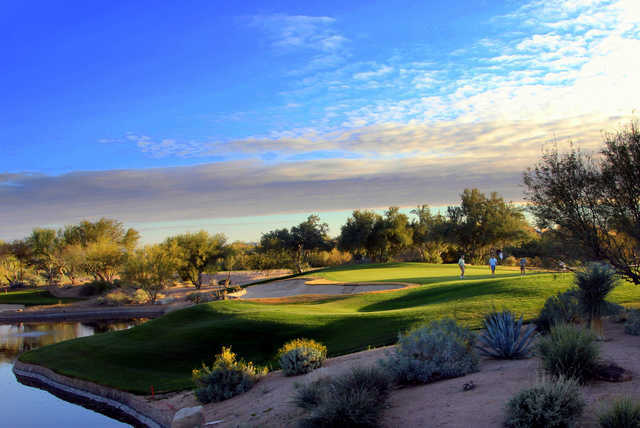 The Peaks course is the shorter of the two, playing a modest 6,744 yards. 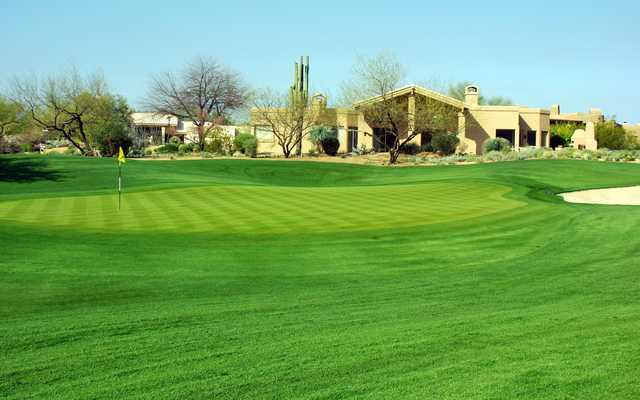 It has five sets of tees to accommodate all skill levels. 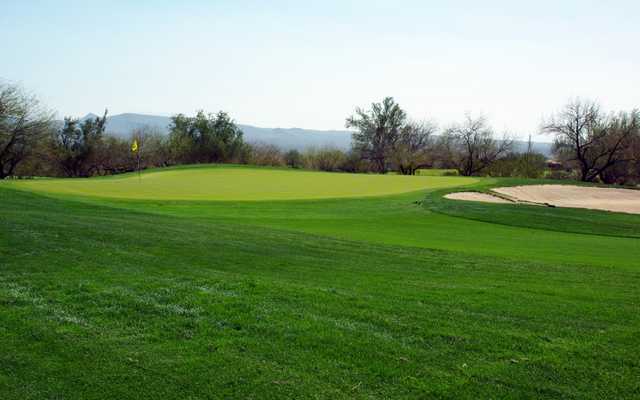 The Peaks and Ranch are part of the Tonto Verde adult community, which began development in 1993. Fabulous shape. Views knock your socks off. Quiet. Very friendly atmosphere.